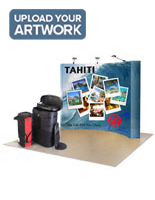 Pop up display booths enhance the effectiveness of a presentation. 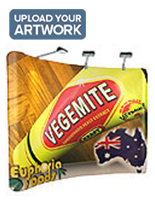 These portable graphic murals sit at the rear of a booth, acting as a backdrop to an exhibit. 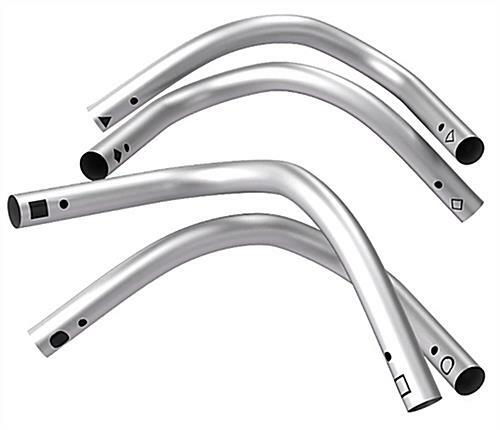 These pop up display booths, also known as custom printed pop up frames, are made from aluminum tubing. The portable exhibit booths attach together using a snap button interlocking design, ultimately creating a symmetrical rectangular shape, with a concave face. 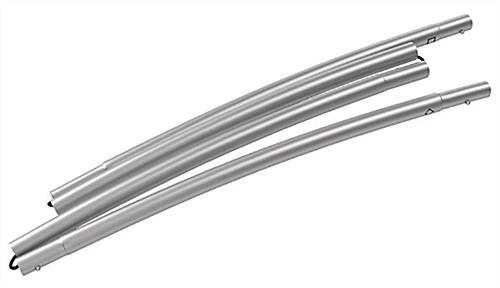 The pop up display booth is easy to set up, as each tube is equipped with an internal bungee cord to connect one to another. 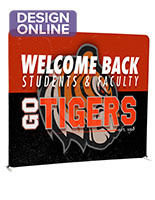 These 7.5' banner stands include custom graphics that easily slide overtop of the tubular frame. 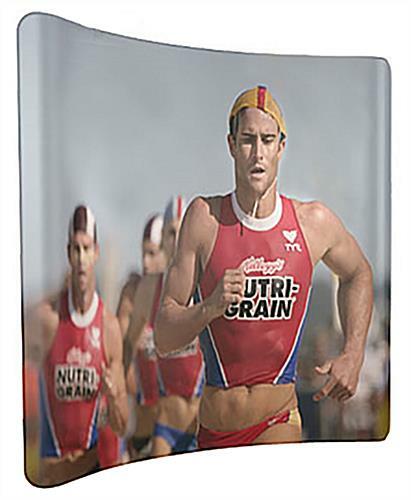 The stretch fabric design fits snuggly on top, pulling artwork taut for a smooth presentation. 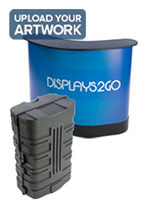 These pop up display booths have an industrial zipper to keep an exhibit looking professional at all times. The pop up display booth features a curved design, adding intrigue without diminishing floor space for interacting with customers. 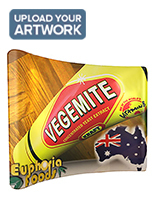 The custom backdrops are created through a dye sublimation process for vibrant colors and crisp displays. 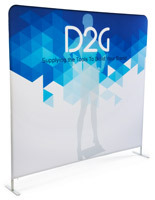 The portable banner stands are perfect for those who travel frequently for trade show events. The custom graphics knock down into a more manageable size. 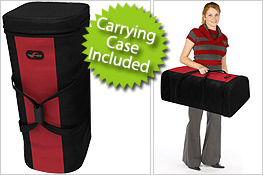 These background banner stands even have a carrying case to maintain organization. The pop up displays work well during a convention.